In my opinion, the good old tried and true ABC song is the best way to introduce your child to the ABC's. You can sing it during diaper changes, while riding in the car, and even get the grandparents to join in the fun. But, after the introduction song, children need to be exposed to letters. Reading books together is an obvious first choice to start your child on the path of learning. However, there are also some great interactive products you can use to shake up the learning a bit. Here are a few resources we have tried. They would all make good Christmas presents. We bought our fridge set when my daughter was around 1-1/2. I credit our set for helping her learn to recognize and identify the letters at an early age. Fridge phonics comes with a reader that magnetically sticks to the fridge and a set of 26 magnetic uppercase letters. We also purchased the Lowercase Letters Expansion Pack so that she could learn those as well. Build, stack and learn at the same time! 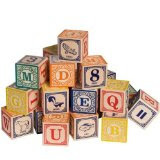 Alphabet blocks are just one of those essential items every child should own. There seems to be an endless variety of types available. The UNCLE GOOSE line is available in English and foreign languages and best of all, are American Made in Grand Rapids, MI. Plastic pellets in a tube hide 48 different objects including all 26 letters of the alphabet. My daughter loves to shake it and see what she can find. Apparently there is a penny hidden somewhere inside, too, but we can't seem to find it! The game is especially great for car rides as all parts are contained inside the tube. Priddy Books offers one of the best wipeable "learn to write the letters" tools I've seen. The set includes 26 durable double-sided cards and three dry-erase pens all in a handy plastic storage container. Children can concentrate on learning to write one letter at a time using each card separately. You can also use them as regular flash cards, too, to develop letter recognition. Includes both lower and uppercase letters. 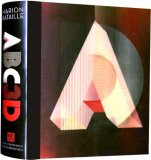 Just released on October 14, 2008, this 3D hardcover pop-up book is a current bestseller. Apparently amazing to look at together with your kids, it's a book they will remember forever. Probably want to keep it stored out-of-reach, though! Fisher-Price Smart Cycle (Ages 36 months - 6 years) Exercise, play games and learn, too...isn't technology great? It hooks right up to your television for hours of exercise filled, arcade-like play. Kids learn letters, numbers, shapes and colors the fun way. The product has gotten some mixed reviews, but it is worth mentioning nonetheless, if only for it's novelty. Wish they built an adult version. Maybe I'd loose the baby weight a little faster! This interactive reading taken to a new level. While nothing can replace reading with your children, this little device looks like the next best thing. 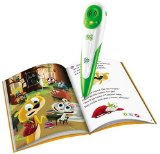 The tag reader is a little camera inside a pen that reads words from special Tag books. Looks as if this will be a hot seller this Christmas! That's amazing post. 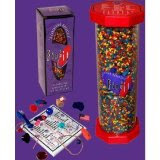 And that interactive different wonderful products are really fun and very useful for children. There are many online Spanish courses to choose from and anyone can learn Spanish online.There are programs suited to a beginner learning Spanish online. There are also tutorials and live Spanish tutors online to coach those who need advanced training. All one needs to do is browse the internet and find the right one.